New move could be bad news for many middle aged foreigners and particularly elderly individuals who have been unable to get health insurance coverage before. Anecdotal evidence suggests that many are in his category with a range of health conditions including diabetes, heart complaints and even cancer. 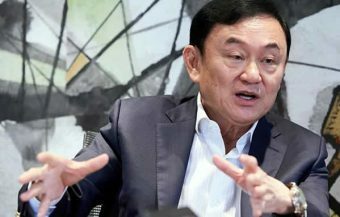 While the proposal has yet to be fully clarified and presented to the Thai cabinet, the concerns raised will be immediate. 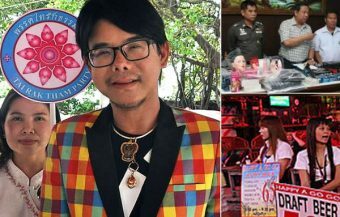 A key government committee this weekend has put motion a proposal that could see many foreigners, including those that have lived comfortably and are well off in Thailand for year, in jeopardy. 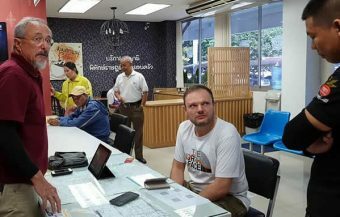 The plan will require all expats, applying for one year O to A visas, to have appropriate health care insurance cover taken out through Thai insurance companies. While the measure has been agreed in principle, it will now be worked upon by government departments and insurance experts for a final plan. This is to be presented to the Thai cabinet. If the new regulation becomes law, many middle aged and elderly foreigners, with existing medical conditions, will find difficulty in complying and consequently extending their visas in Thailand. 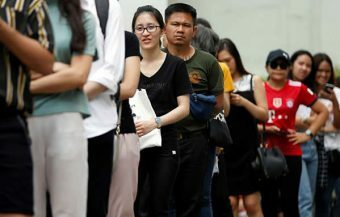 A key advisor to Thailand’s Minister of Public Health, Dr Piyasakol Sakolsatayadorn, this weekend revealed that a decision had been taken to require foreigners, applying for visa extensions in Thailand, have adequate healthcare insurance coverage. 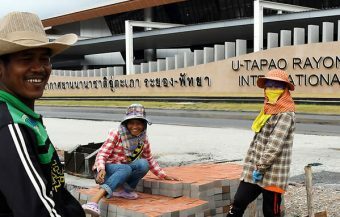 The proposal forwarded by a key committee within the Thai government, in pursuit of its duties under the 1979 Immigration Act, will be a source of concern and worry to many foreigners living in Thailand. It will require that all applicants for O-A visa extensions will need to show evidence of adequate health insurance coverage before their visa application can be processed. Many middle aged and elderly foreigners living in Thailand, even though they have substantial assets and funds, have existing health conditions. Many are unable to currently obtain health care insurance cover. It is clear that there is a problem and issue for the Thai government to address. A young UK entrepreneur needed crowd sourcing financial assistance in September when he was struck down with a tumour. It left him with a ฿4million bill at a local hospital which he could not afford to pay without the public’s help. A key committee convened under Thailand’s immigration law has recommended that all foreigners with long stay, one year Non Immigrant visas should provide evidence that they have adequate health insurance coverage in place before a new visa or visa extension is granted. The move was approved at the second meeting this year of the key committee which fulfills its role under Thailand’s key 1979 Immigration Act. This is the key provision governing and immigration law in this area. The move was confirmed and reported in Thailand’s English speaking The Nation newspaper this weekend. 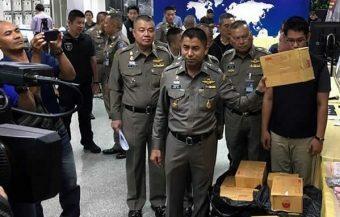 The report quoted a key advisor to Thailand’s Minister of Public Health, Dr Kittisak Klapdee, who works with Thailand’s Ministry of Health and the Tourism and Sports Ministry. He confirmed the move, made by the Medical Hub committee which oversees this area. 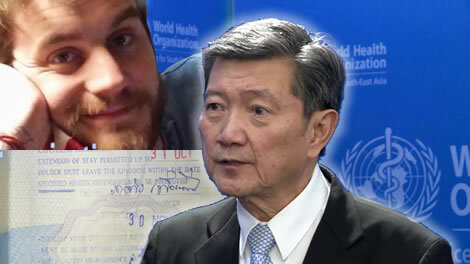 Dr. Klapdee ultimately reports back to Thailand’s current Minister for Public Health Dr. Piyasakol Sakolsatayadorn, who of course, is a member of the Thai cabinet. This will now lead to consultations and preparations between various government agencies to formulate the new measure agreed. It will involve the Thai Public Health Ministry, Foreign Affairs Department, the Interior Ministry and the Immigration Bureau. 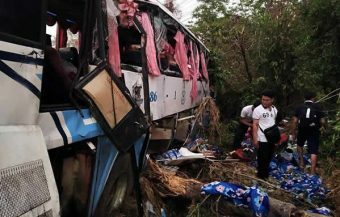 There will also be consultations with key insurance bodies such as the Office of Insurance Commission and the Thai General Insurance Association. 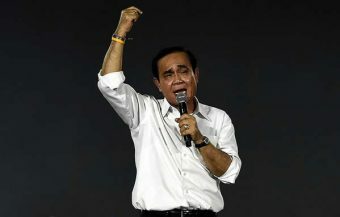 Once the proposal has been finalised and documented, it will be sent to the Thai cabinet which will have the final say. Once adopted by the cabinet, the new regulations will be set and ordered into effect under existing laws. It is thought the the new requirement will require foreigners, applying for a new one year visa extension, to show that they have enough health coverage to pay a minimum of ฿40,000 ($1,270) for outpatient costs and a coverage for ฿400,000 ($12,700) for in-patient medical costs in the event of an emergency. It has been reported that foreigners already covered by health policies, provided by foreign health coverage firms, will be exempted from to the new requirement but the proposal specifies coverage from health firms in Thailand. It is not clear if this means that new health coverage must be taken out with Thai based firms. This could have an impact on foreigners in Thailand as current health coverage policies for foreigners in the country are more restrictive and more expensive than those offered by international firms. International health insurance companies have been targeting Thailand for some time now. It is seen as a valuable market where there is a growing middle aged and retired western expat community. Dr Klapdee has confirmed that where foreign policies are already in effect, they can be used to apply for new visas. There has been concern for some time about the issue of health coverage for foreigners in Thailand. This has been mainly focused short term visitors, many of them younger people who have accidents requiring expensive treatment and who are often left in the nightmare situation without the ability to pay and still requiring further treatment. In 2016 UK woman, Kathryn Williamson collapsed in Thailand and died in hospital while her family organised a crowdfunding effort to assist her without success. 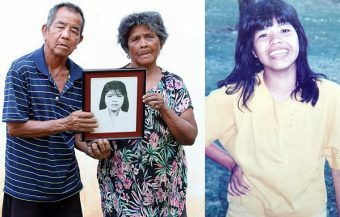 Her hospital initially refused to release the dead woman’s body until an outstanding bill of ฿1.6 million was paid. 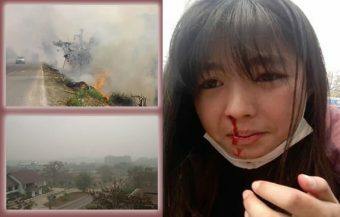 Others have been luckier and have raised the funds to pay hospital bills and to be flown by an air emergency service back to their western home country. Another UK man was luckier. George Gannon, a 29 year old entrepreneur and DJ was struck down with a tumour in September this year. Transported to Koh Samui from an island where he lived, he required over ฿4 million to pay his medical expenses. This amount was raised through crowdfunding. The young man was a well like and a uniquely caring individual but this is, clearly, not an option that can be relied upon for everyone. Added to this is the ethical duty of Thai hospitals, imposed through law and through Thailand’s culture, to provide care to people in need. It is easy to see the need for government action. There are also thought to be many cases of older and even middle aged foreigners, often with Thai wives, who simply don’t have health care coverage due to poorer circumstances or due to an existing medical condition. As Thailand gears up its hospitals and social services to deal with a growing elderly population and to progress to international standards, healthcare capacity need to be addressed. Currently, Thailand’s wonderful tradition of children caring for elderly parents is what makes the system work. The new move will be a considerable benefit to the burgeoning private medical sector and hospitals in Thailand which have greatly benefited from the increase in foreigners living in the country and also from international medical tourism. Health costs are well below international levels. However the international costs of healthcare have spiralled in recent years. Thai hospitals have seen a continuous annual growth in foreigners seeking treatment year on year of over 13%. The tragedy of the situation,with medical coverage for elderly foreigners, can be seen from a shocking incident in Pattaya this November. A Norwegian man, Max Holden, was found hanged from the outside of a upmarket and large 31 story condominium building. The man was dressed oddly in a garish, lightweight overcoat and without a shirt. His hanging body was publicly visible to early risers as the morning came up. The sight was visible from apartment balconies. It caused quite a sensation. 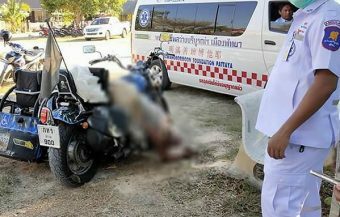 Thai police found that he had been both shot and hung at the same time. 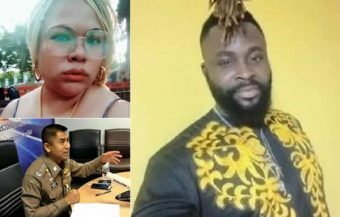 Initially suspecting foul play, they investigated the incident thoroughly after it took hours for an emergency rescue team to retrieve the body. 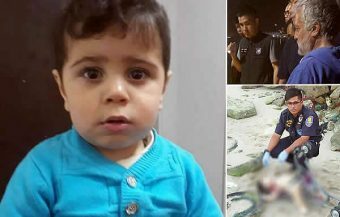 It emerged that the man had contrived a sophisticated execution mechanism to take his own life at the top of the building use blocks and a pipe. Days earlier, he had told his local hospital not to treat him or incur medical expense if he was taken in for emergency care. It transpired that he had advanced, incurable cancer. 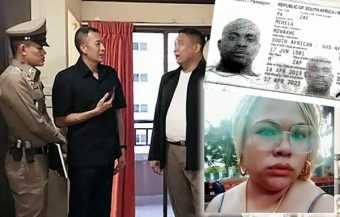 He left a written will, in his native Norwegian tongue, so as to ensure that his Thai wife, to whom he left his assets, would not be suspected by authorities. There are many stories in Thailand of well off, middle class Thai people who have been bankrupted when cancer has struck and they are left without healthcare coverage. Spouses have sold cars, family homes and property just to prolong the life and alleviate the pain of their loved ones and partners. When the partner dies, they are often left destitute and facing bankruptcy. Even though Thailand’s health sector is very competitive and costs are low by international standards, there is no subsidy or alternative way when confronting a deadly or terminal disease. Max Holden found one but it was extreme. Thailand has a fledgling social security system where workers and employers pay for health cover at hospitals. The law apportions 5% of all workers salaries to a social security scheme, of which 1.5% is for medical cover. It is very popular with Thai workers. The requirements is that a worker has contributed for at least one quarter in the last 15 months of their working life. They are then covered for public health access to hospitals. 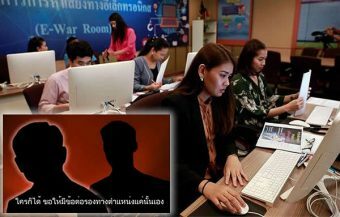 This coverage also applies to western foreigners working in Thailand as employees. The medical coverage is strictly limited to essential care and medication. Many Thai people augment this, as in western countries, with personal health coverage. In recent years, many Thai private hospitals have attempted to cater for both the Thai public and private market including foreigners, and medical tourism. All workers in Thailand are issued with medical card to use when availing of the scheme. The new move by the government can be seen as a move towards improving Thailand healthcare system and its capacity for assisting Thai people in the long term or developing a more comprehensive health support service for the population in the future. The interests of Thai citizens and nationals must be the core concern. 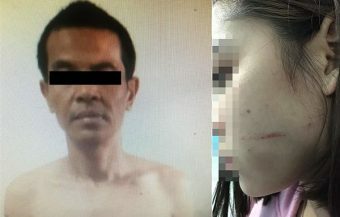 It is more common for foreigners and westerners in Thailand to use private hospitals and especially hospitals with experience of dealing with foreigners and English speaking staff. More and more hospitals in Thailand however now fit this criteria as the number of westerners living in the country has expanded. Many foreigners pay the outpatient fees from their own pocket. By western standards, the fees are very reasonable. However it can escalate very quickly for inpatient charges and costs, particularly in an emergency. The current range of healthcare policies on offer from Thai companies is very limited and very expensive by international standards. Many basic plans only offer coverage of up ฿3,500 per day for inpatient care or outpatient costs of ฿2,000. The answer for many expats and westerners in Thailand has been to take out international healthcare insurance plans. The huge changes in the United States brought about through Obamacare and the competition between companies worldwide, means that there are many companies quoting health care coverage for middle aged western men and women in Thailand. Most western expats in Thailand are, in fact, men. Some companies will even quote for existing medical conditions. Many foreigners and expats in Thailand have, like the growing trend worldwide, diabetes. This is not helped by the more relaxed lifestyle and indulgence associated with expat life in the Land of Smiles. The packages on offer can be as low as $200 a month for a mid 50s western man, paid by monthly direct debit. The lower costs of healthcare and the efficiency of Thai hospitals contributes to the attractive rates on offer. The other benefit of such coverage is that it is international in its scope and will cover the western man, woman or child anywhere in the world, even while travelling, although there are conditions requiring the policy holders to inform the insurance company in certain situations. Even for young western expats living in Thailand with a family, health coverage is a very significant and critical consideration. It is soon to be an essential one for all foreigners living in the Kingdom. Local health coverage in Thailand is not only more expensive but there can also be a more challenging attitude if the insured person is later diagnosed with an illness. Many western companies are prohibited from withdrawing coverage or even, as in the U.S., from failing to quote. The laws in Thailand currently allow more freedom for Thai insurance companies to adopt a more commercial and laissez faire approach. It is important to note that this approach does not apply to all Thai insurers and it may be good advice to ask a broker. Thailand has some very innovative and savvy firms with an eye for opportunity. The new changes, proposed to the law, may prompt them to put together a competitive health care proposal for western foreigners living long term in Thailand. But there is no doubt that this requirement, if made law, will have a negative impact on some foreigners. The extent of the impact will also depend on how open the market will be and what will constitute acceptable health coverage. This will depend on the final regulations set by the Thai government if the current proposal is agreed and implemented by the Thai cabinet. The new law will present a difficult situation for a lot of elderly foreigners currently living in Thailand. 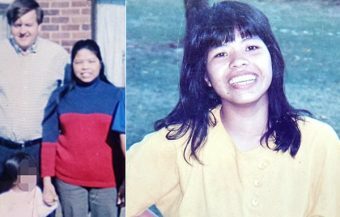 Many have Thai wives and have lived in the Kingdom for a long time. Quite a few have a medical conditions. This means that they have been unable to take out health coverage in the past. For many, the solution has been careful living and an emergency financial fund. Many of these foreigners in Thailand have substantial assets and have planned to spend their last days in the Kingdom. This new proposal threatens this. 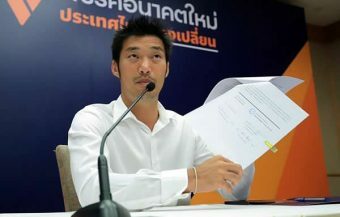 Unless there is provision for progressive health care insurance policies being made available either though Thai or international firms, some could be forced to leave the country and return home. The dream may be over for many poorer and less healthy foreigners currently living in Thailand.